If you've not checked out Melbourne's newest brick-tactic indoor play centre yet, the winter school holidays might just be the perfect opportunity to do so. LEGOLAND® Discovery Centre introduces the LEGO® BatmanTM Experience for Melbourne families to enjoy during the July school holidays. The two weeks of Batman-mania coincides with the release of The LEGO® BatmanTM movie on DVD. See Gotham City’s iconic DC Super Hero, LEGO Batman at special meet and greet sessions, with photo opportunities aplenty. Couple that with a Batman-themed MINILAND scavenger hunt and LEGO Batman TM-inspired LEGO build activities and you're in for a Marvel-lous Batman treat this winter! 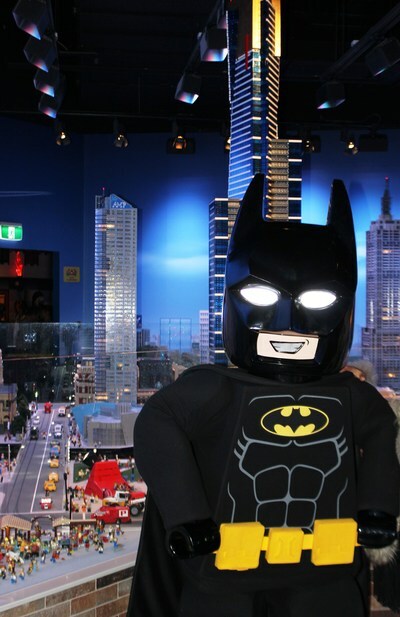 All Batman related activities are inclusive of your entry fee into LEGOLAND® Discovery Centre Melbourne. Website: Go to melbourne.legolanddiscoverycentre.com.au to book online. Save 20% on entry with your Small Ideas voucher app.